There are a number of key issues that need to be addressed in the process of purchasing commercial real estate. Before you even purchase the property, it is important to know if it is able to be used for the purpose you intend, if there are any liens on the property, if you can get financing and many other considerations. 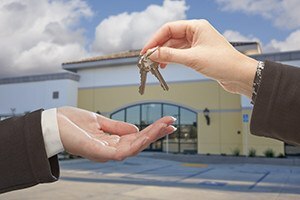 Having an experienced commercial real estate attorney representing you from the outset can help to ensure that your interests are protected at all times. At the law firm of Pulgini & Norton, LLP, we represent parties on both sides of commercial property transactions. Our extensive experience with these matters allows us to provide sound advice to buyers and sellers alike. When you hire our firm, we provide a thorough review of the property and inform you of any concerns that could create issues for you down the line. We work to ensure that the title to the property is free of any encumbrances and address any other issues that may arise during the process. In every case, our only concern is to see that our clients’ interests are protected at every stage. Contact our office today to discuss your commercial real estate needs. We have office locations in downtown Boston, New Bedford, Hyde Park, Andover or Braintree, Massachusetts, to serve you. You can reach us by phone at 781-843-2200 or via e-mail to schedule an initial consultation with one of our Boston commercial property purchases attorneys.